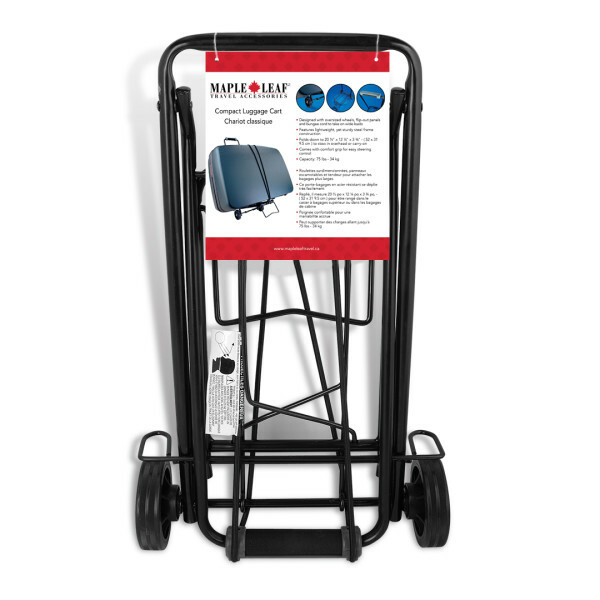 Designed with oversized wheels, flip-out panels and bungee cord to secure wide loads. 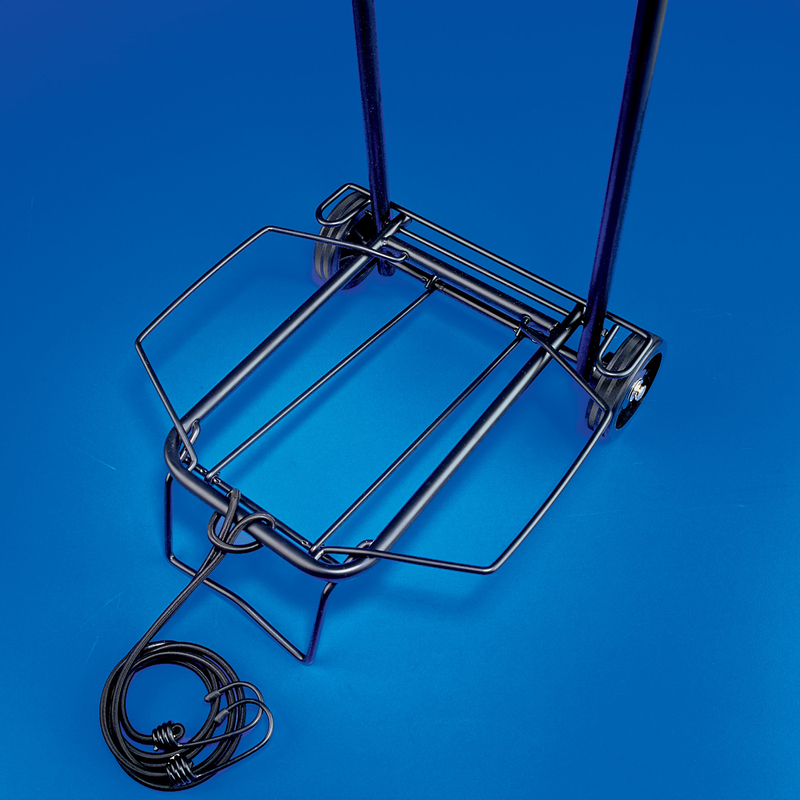 This cart features a lightweight, yet sturdy steel frame construction, and comfort grip for easy steering control. 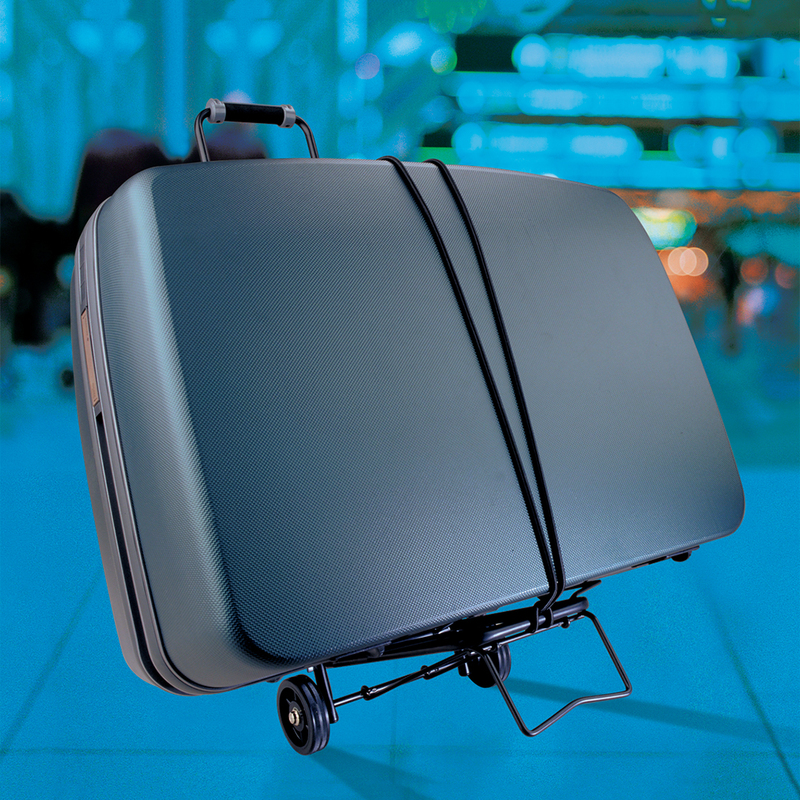 Folds down to 20.5″ x 12.25″ x 3.75″ to stow in overhead or carry-on. Lightweight and well made. For the cost it was well worth it. Due to it being all metal it is slightly heavier than plastic cart. I found opening it up to use took more time than necessary. It is good sturdy quality but just not good for what I needed to use it for. Good value for the money. Buting another. Works very well. Sturdy and does the job. Rolls easily snd is easy to tow behind you. I am very satisfied with this purchase. Although I was a bit in doubt when I first saw it at the store — it is so tiny, I was amazed how much help I get from it. It is so handy for living in an apartment. I use it to carry my laundry, grocery bags, and even a small washer one time. The best thing is it is so versatile with the ban gee attached. And it is so small when you fold it. It was designed to be able to put in the overhead cabin in an airplane. It is such an excellent helper! I use this product while I went to my native place – India. It is most comfortable, small and accommodative. Great for moving stuff – especially when you live in a condo and have fire doors and elevators to contend with. VERY durable and sturdy. I’ve lifted IKEA furniture in boxes on this little cart. Folds up nice to fit in car trunk. Straps to secure parcels are a bit tricky sometimes. Would be better if they were bungee cord type straps. THis cart helps organize and transport all your carry on and small bags. Used this on my most recent trip and it works great! Just got it yesterday. Very sturdy feeling and is light-weighted for my mother who is eighty years old. Name brand that also makes luggage cases. Can’t say anything about durability but will see. Good for someone who needs to carry groceries from car park to condo suites.